How do you store your loose coins? 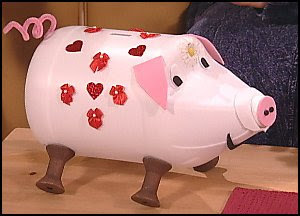 Do you have a piggy bank? Many people use the trick of just saving all their change every month. 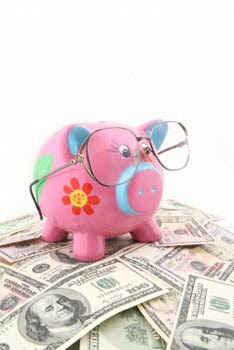 The only money you spend is paper money and the rest goes into a jar, or piggy bank, whatever you decide to use. Of course some banks now offer this with their debit cards. I have even heard of people who write checks (does anyone do this anymore?!) rounding up their check and just making it an even number. If you really want to get fashionable you can go to www.banksbanksbanks.com and buy almost any kind of bank. Of course it is going to cost you some change! Or if you are into crafts you can make one your self with an old bleach bottle! I think anyone of these is a great idea. It is such a small way to save money and you don't notice it at all!